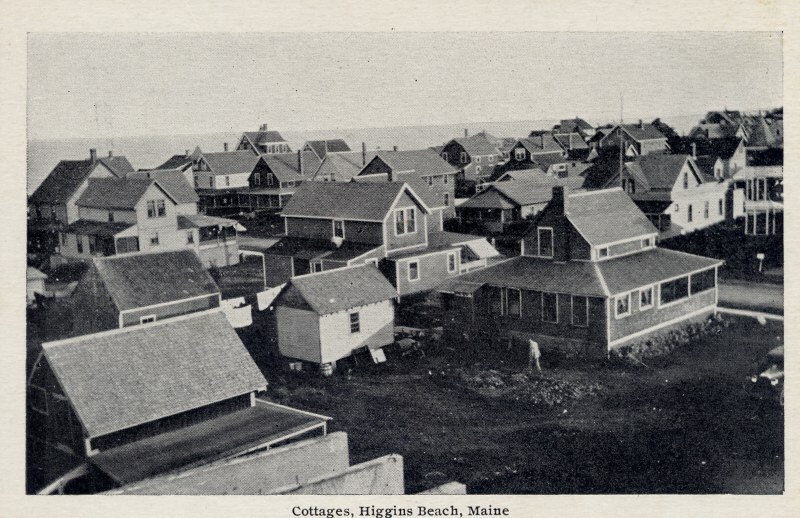 Back in the early part of the Twentieth Century, a water tower provided water to Higgins Beach residents. The water tower was located at the highest point on Pearl Street. We can not exactly replicate this photo for a current scene without climbing the maple trees on the same property, which we declined to do. Note the Model T in the right of the photo and also the person tending his vegetable garden behind 19 Ocean Avenue. You can just see the tip of the tower at the Breakers Inn, which rises further above the waterline that any other structure. The back side of the inn had not yet been built.